I was going to write an article on raising chickens; however, I found this delightful site, please click on the link above. Chickens are a vital source of protein, they provide meat and eggs for the whole family. Crushed/minced bone is great fish food and fertiliser. They are easy (ish) to keep and backyard chickens have much healthier and happier lives than battery chickens do. Even the feathers and poop make great fertiliser. You also get to know that you are eating organic eggs and meat that is not full of steroids or bacteria. If you wish to add to this page please let me know. Happy to oblige. There are all kinds of chicken coops out there. 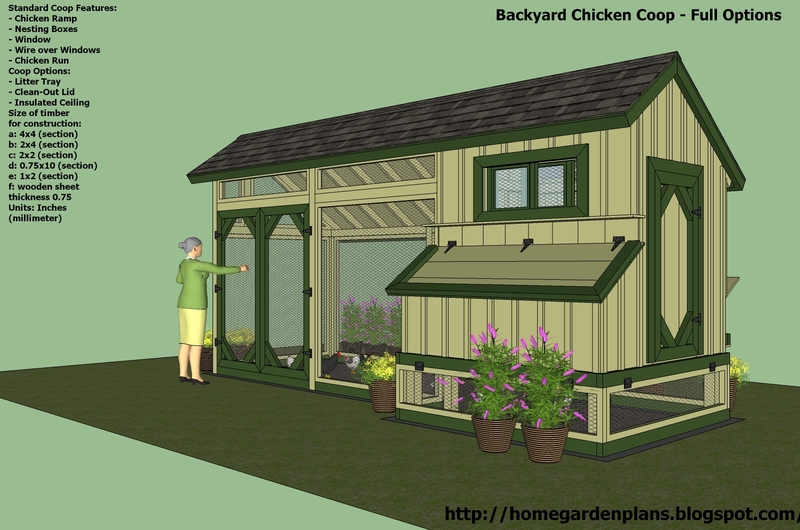 Home & Garden Plans have loads to choose from on their site. WHY PAY FOR FEED WHEN MOST OF IT IS RIGHT THERE IN YOUR BACK GARDEN? Don’t give them rhubarb leaves or avocado (so I’ve read) but if something is not good for them, then generally chickens won’t eat it anyway.